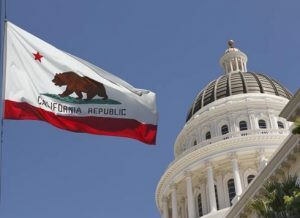 California iPoker Assembly Bill 2863 passed the state’s Assembly Governmental Organization (GO) Committee unanimously last week, and while online poker advocates rejoiced, the reality is the road to legalization will be about as quick as the 405 at rush hour. Introduced by Assemblymen Adam Gray (D-District 21) and Reggie Jones-Sawyer (D-District 59), AB 2863, or the “Internet Poker Consumer Protection Act of 2016,” would authorize the operation of iPoker websites and allow Californians to participate in the online game while physically located within the state’s borders. The GO Committee’s 19-0 vote moved the legislation to the Assembly Committee on Appropriations where it’s expected to receive additional support. The online poker community rushed to pop open celebratory champagne. Various gambling media outlets joined Pappas in congratulating GO members on forwarding AB 2863. The statute appears to have finally found common ground between the powerful race horsing industry and Native American groups. Gray and Jones-Sawyer’s legislation directs the first $60 million in revenues each year to the horse racing community in exchange for tracks stepping aside from iPoker. That has indeed seemed to satisfy the two sides, but there remains conflict within the tribal factions on how to deal with PokerStars. The once “bad actor” is desperate to infiltrate California, its parent company Amaya spending an untold amount of money campaigning in the Golden State through the grass roots Californians for Responsible iPoker alliance. Amaya sent its PokerStars ambassadors on a tour of the state in 2015 in an attempt to win over public opinion and educate state lawmakers on the validity of legalizing online poker. When it comes to tribal leaders, opinions differ. That could cause a serious roadblock to Gray and Jones-Sawyer’s legislative journey. In a statement, Gray seemed to downplay the ongoing clash between reservations. That’s quite a spin on what Pechanga Band of Luiseno Indians Chairman Mark Macarro said while testifying before the GO Committee. Macarro believes iPoker operators that didn’t adhere to the passage of the Unlawful Internet Gambling Enforcement Act of 2006 shouldn’t be welcomed back to the state in 2016. The Pechanga leader told the Assembly panel that PokerStars illegally grew its brand and customer base between 2006 and 2011 while other operators ceased their operations. The San Manuel and Morongo Mission Indians disagree and want to authorize all competent networks including PokerStars. As of now, the legislation doesn’t include a “bad actor” clause to prohibit sites like PokerStars. Whether that changes depends on the outcome of Gray’s continued arbitrations with the tribes.